[Issue] This is known issue while creating the site column using declarative way the automatic crawled properties are not generated by the SharePoint engine. [Solution]: The work around this either, need to create the Site columns using powershell or SharePoint object model. 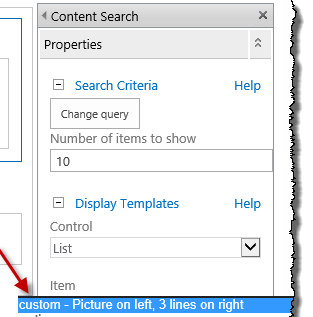 Display template not selected in the Content Search Webpart when we create the page using element.xml file. [Issue] The requirement where I have to create the layout pages and pre-populate the “content search web part” so I used the module feature for that & export the web part and add the same in the element. Xml file the issue comes when I found that the display template not populated as expected. To provision the content search web part here is blog. Search vertical open in the new window not working (Navigation). [Issue]: To set the navigation option under Site Settings. Under Search, click Search Settings link. If you want a search center page to be open the Link in new Window the functionality not working. [Solution]: In To get this work using Jquery client side approach to handle the link navigation click event. Search pagination web part not working as expected. [Issue]: Every click to the pagination link button (bellow to the search results), showing different result count. [Solution]: following are the list of Propset ID. Disable Trim Duplicate "Refiner Count not same as total result count"